Iflix is thrilled to announce an exclusive multi-regional deal with AwesomenessTV, the leading online destination for original programming for the global preteen and teenage audience. 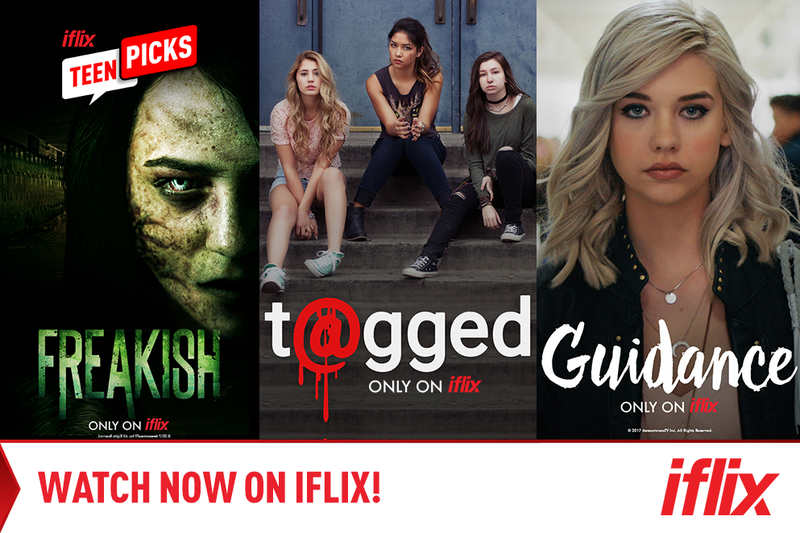 Starting today, iflix members in the Philippines can stream and download AwesomenessTV’s hit shows including Freakish, Sleep Tight, [email protected], Guidance, Runaways, Food Truck Fanatics, Betch, and LA Story. In addition, Cartoon Blastoff from DreamWorksTV will be available for the first time ever in the Philippines, only on iflix. AwesomenessTV, a multiplatform entertainment company works with some of YouTube’s most successful content creators and celebrities including Liza Koshy (Freakish), Meg DeAngelis (Sleep Tight), Hayes Grier (Freakish), Chachi Gonzales (Guidance), and twins Veronica & Vanessa Merrell (Food Truck Fanatics). Launched in 2012, the company has grown to include 90,000 Youtube Channels and has garnered at least 17 billion views and 150 million subscribers. Not a slouch either, iflix has over 5 million members across the region and 5 billion minutes streamed since launchNow available in 10 territories across Southeast Asia, with recent launches in Pakistan, Vietnam and Myanmar, iflix additionally announced its Joint Venture with Zain, iflix Arabia, to make its world class service available in the MENA region. For new subscribers, iflix offers a complimentary one-month trial with full access to its service, features, and content. Go to www.iflix.com to register.